We are specializing in the manufacturing and supply of various customized mechanical parts and components. 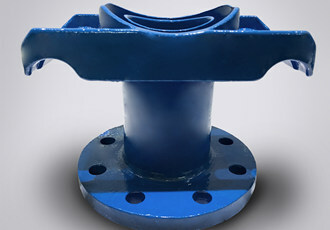 Water works is one of our most important product lines and we can produce coupling and adaptors, hydrants, pump parts and various valve parts as per customers' specifications. With more than15 years experience in exporting, we have very good understanding of international customers' needs, especially in North America and Europe. All you need is to forward your drawings, samples and technical requirements. Our professional manufacturing facilities, experienced quality and engineering team, and bilingual customer service team will work together to provide you JIT delivery of high quality products at competitive price. You can always trust Y&J!